For individuals hoping to earn some extra money on the side, a job such as driving for Transportation Network Companies (TNCs) may be exactly what you’re looking for. Having the convenience of being able to turn the app on and off as it fits in with your schedule is very beneficial when considering all the tasks people have on their plate each day. However, if you are considering taxiing people around for Uber or Lyft, it is important to ensure you will have coverage if an accident occurs. While being an Uber or Lyft driver has some similarities to being a taxi driver, luckily, insurance companies view it differently. Insurance companies usually exclude coverage for individuals while partaking in commercial activities such as food delivery or taxi service. Recently, many insurance companies have begun to refer to TNC drivers as “rideshare” drivers, and they even offer endorsements that can be added to your personal auto policy. 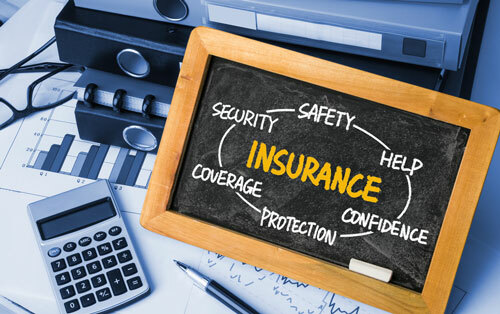 Adding these endorsements to your current insurance policy will be much less expensive than purchasing a commercial (business) insurance policy, as taxi drivers must do. While TNCs such as Uber and Lyft do have some commercial coverage for their drivers, there are still gaps to be covered (see explanation & image below). From the time when the driver turns their app on and is ready to accept a ride, until the time when a rider requests a ride and the driver accepts is referred to as Period 1. From the time the driver accepts the trip, until the time when the rider enters the car is referred to as Period 2. From the time when the driver has the rider in their vehicle, until the rider exits the car and the driver ends the trip is referred to as Period 3. Many insurance companies have agreed to take on the risk of insuring TNC drivers. While some companies only offer coverage for Period 1, others will fully cover the drivers. Options and coverages vary dramatically from state to state and from company to company, so it is important to read into it and understand if and when you are covered with your company. Some helpful info on a few of the companies is listed below, along with a chart showing which companies offer rideshare coverage depending on your state. Allstate offers a “Ride for Hire” endorsement for ride-sharing drivers in most states across the US. (see table below). Their policy with the ‘Ride for Hire’ endorsement will help with the deductible for collision/comp if the TNC company’s deductible is higher than the deductible on the driver’s personal auto policy. It is expected that the endorsement will add $15-20 to the annual policy premium. Civil Servant Employees Insurance Group (CSE) offers a Rideshare endorsement for drivers in the state of California. This gives TNC drivers coverage for period 1. It is expected to add less than $10 per month to your current personal auto insurance policy. Eerie offers rideshare insurance to their customers. The only requirement is that they say their vehicle is used for “business use.” This added insurance is expected to increase their monthly payment by about $9-15 per month. Esurance has their own ShareSmartTM coverage that can be added to existing policies at renewal or can also be added to a new quote. Although Esurance only offers this coverage in California, they are looking to offer it to more states in the near future. Farmers provides a rideshare endorsement that can be added to your current personal auto policy. Adding this endorsement will give a TNC driver coverage between rides and ride requests until they log off the app. However, it does not cover the time once a passenger is picked up until the drop-off (coverage at this time will be through Uber or Lyft). Adding the rideshare endorsement is estimated to add 8 percent to a customer’s premium. If you are interested in this coverage and currently have Farmers, you will have to call the company directly to add the endorsement. Geico offers ridesharing insurance, a policy that will replace your personal auto policy. This policy will give you coverage while driving for Uber or Lyft, but is restricted to part-time use only. If driving for the TNCs is your full-time occupation, Geico will require that you purchase commercial (business) insurance. Mapfre, a company that is up & coming on the west coast, offers “Limited TNC” coverage. Existing policies must be rewritten to add this coverage. Although, it can also be added for new business policies. Mercury’s Rideshare/Ride-hailing endorsement can be added to your current personal auto policy and has been advertised by the company to “cost as little as 20 cents a day” in addition to your current personal auto policy premium. Mileage is a huge rating factor in their policies. MetLife is one of the few companies who offers a rideshare endorsement that covers beyond Period 1- the driver will be covered at all times during their trip. The endorsement for Lyft drivers cannot be added to an existing policy- it will have to be rewritten with the Lyft endorsement. MetroMile’s rideshare coverage is only offered to Uber drivers. However, there is no extra charge since MetroMile is a rare type of insurance company where the driver is charged on a pay-per-mile basis. Progressive’s requirements vary depending on which state you are located in. Their coverage for Lyft drivers is only offered in Pennsylvania & Texas. For Lyft drivers in Pennsylvania, Progressive requires that they have a commercial policy rather than a personal auto policy in-force (it can be expected that this will be more expensive than a personal auto insurance policy). However, in Texas, there is a personal auto policy endorsement that can be added to provide Lyft coverage. In a few states, Safeco offers their RideSharing Coverage. This coverage will not replace your current personal auto policy, but it will give you the same coverage during applicable ridesharing periods as you do when using your car for personal use. This RideSharing Coverage is expected to add about $10 per month to your personal auto insurance. The TNC Driver Coverage endorsement offered by State Farm extends the liability on your current auto policy to Period 1 while driving, and all other coverages apply during all periods of TNC driving. State Farm’s endorsement for TNC drivers is expected to add 15-20 percent to your current personal auto policy. Travelers has a Rideshare Coverage endorsement offered in Colorado and Illinois. Their endorsement provides coverage to the TNC driver when the rideshare app is on, but only before accepting a passenger (period 1). USAA has a rideshare endorsement that can be added to a current insurance policy in almost every state across the US. The only requirement with this company is that you must be a military member, or a spouse or child of a military member who is a USAA member in order to buy a policy from USAA. The endorsement is expected to only add about $10/mo to your personal auto policy.